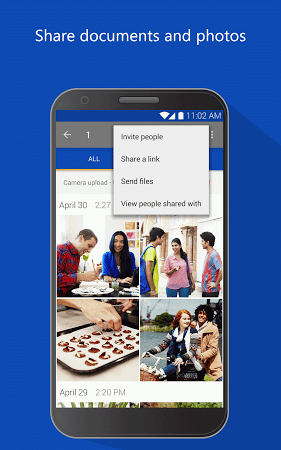 Save space or share files with other people by uploading them to the cloud. Move or copy your music, videos, photos, documents, etc. 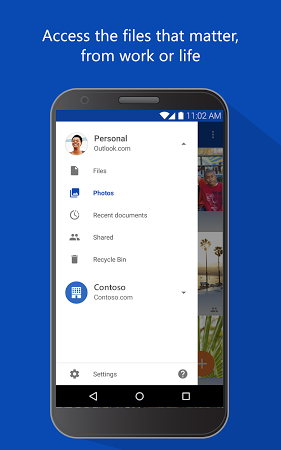 to the cloud and access them from any other device or location. 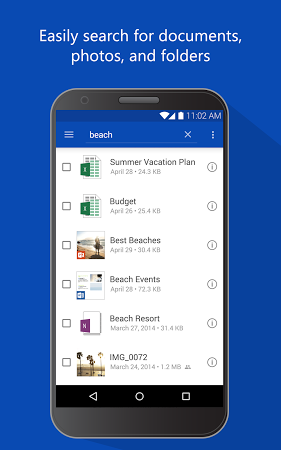 Additional features include Microsoft Office integration and the ability to notify the user when a shared documents has been modified. 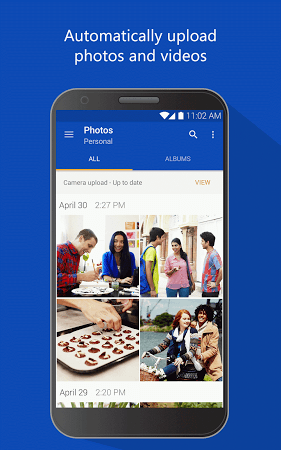 Automatically syncs files from your phone with your OneDrive cloud storage. 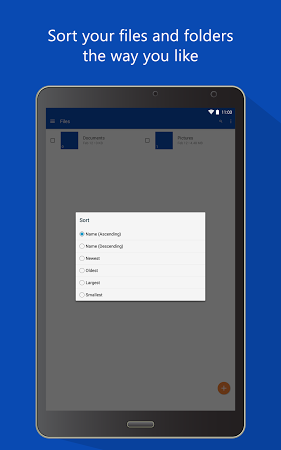 Store files and folders safely on the cloud and share them with your devices.